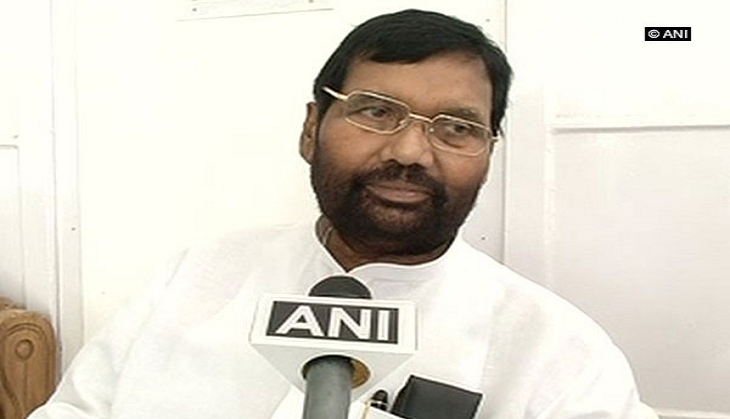 With Rashtriya Janata Dal (RJD) Chief Lalu Prasad Yadav facing a barrage of criticism with his daughter Misa Bharti embroiled in a land scam, Union Minister Ram Vilas Paswan on Friday questioned Bihar Chief Minister Nitish Kumar's silence over the accusations levied upon his alliance's partner. Taking a dig at Nitish Kumar, Paswan said that it doesn't matter that the former is the state chief, as in reality it is Lalu Prasad who rules Bihar. "At the time JD(U) allied with the RJD we knew that future of Bihar is bleak. The reality is that Nitish Kumar is wearing the crown of a chief minister but it is Lalu Prasad who is ruling and you can very well see the result of Lalu rule," said Paswan. Meanwhile, a leading English daily accessed papers that document land purchases in Delhi's Tony Sainik farms and Bijwasan luxury farm enclave - two deals that point to alleged Misa Bharti is involved in money laundering matter on a massive scale. Lalu's daughter has bought almost 7 acres of land worth Rs 100 crores for just about 1.4 crores through mysterious business entities that have allowed her to make huge profits at their expense. Will wrestlers John Cena and Nikki Bella's break-up bring down WWE Universe?